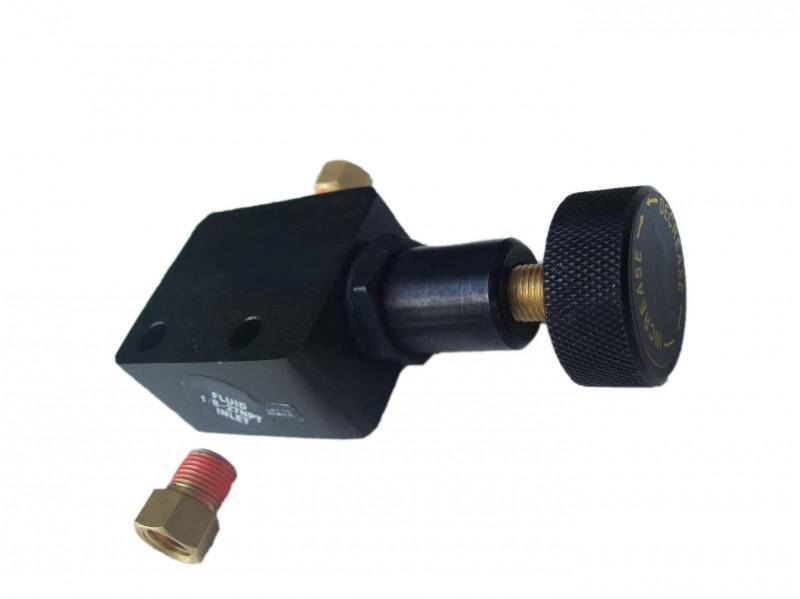 Eliminate premature rear wheel lockup with this adjustable proportioning valve. This unit installs in your rear brake line (after any distribution blocks) and allows you to reduce the amount of pressure going to the rear brakes. This aluminum prop valve reduces pressure to your rear brakes will help eliminate any premature rear wheel lock up and give you better control of your vehicle during hard braking. Eliminate premature rear wheel lockup with this adjustable proportioning valve. This unit installs in your rear brake line (after any distribution blocks) and allows you to reduce the amount of pressure going to the rear brakes. Reducing pressure to your rear brakes will help eliminate any premature rear wheel lock up and give you better control of your vehicle during hard braking.